Multi-pubbed Romance author, Davalynn Spencer, shares a high altitude tale, a cobbler recipe (which I’ve made before and love! 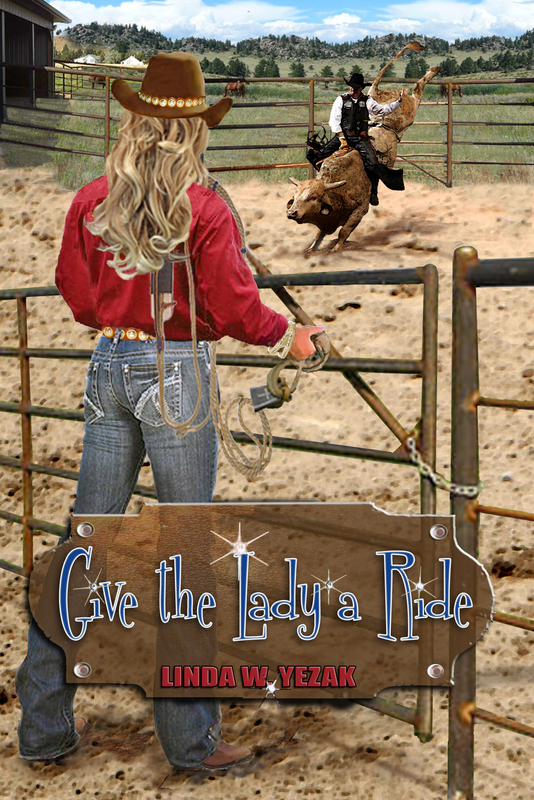 ), and a chance to win her newest Heartsong release, The Rancher’s Second Chance. Be sure to leave a comment! When I married my Colorado cowboy, Mike, I was a California girl, born and bred. My mom was a great cook, and as a newlywed, I wanted to follow in her proverbial flour dust. Trouble was, our California home rested in the heart of the San Joaquin Valley, a couple hundred feet above sea level. My honeymoon nest was about 50 miles north of Denver in Greeley, Colorado, elevation 4,658 feet. That near-mile altitude can mess with a girl’s made-from-scratch recipes, but I didn’t know it at the time. As a new bride, I wanted to be 100 percent Happy Homemaker, so one of my first attempts was a fried-chicken dinner and a good old-fashioned vanilla cake. The lovely picture and simple directions in my new hardback cookbook made the cake look like a cinch. When Mike came home that night and sat down for dinner, he pasted on his best loving-husband smile and dug in. Fried chicken in California took 45 minutes. In Greeley, that didn’t even get the pink out. Water boiled out of my green peas and scorched the bottom of the little green balls, but the ultimate disaster was my made-from-scratch cake. It looked like the San Joaquin Valley: long, low and flat in the middle. When my back was turned, Mike snapped a picture of my labor and titled it “The Ashtray.” Funny, but I just can’t remember what happened to that snapshot. It didn’t take me long to learn about adding flour to the mix and time to the fryer, or to keep my eye on a pan of water. Hard-boiled eggs really can boil dry and shoot right out of the pan like missile. Today one of my husband’s favorite deserts is my Cheat Cobbler. I don’t call it that where he can hear, I just say, “Would you like some pear cobber?” Or berry, or peach, or canned apricot – whatever I have on hand. I learned about this recipe from my mother, that great from-scratch cook who knew exactly when and where to use a boxed cake mix. Cover pan with fruit, sprinkle dry cake mix over the fruit, and drizzle melted butter over the top. Bake for 30-45 minutes or until the top browns and the fruit bubbles. Author, columnist, and speaker Davalynn Spencer is a college writing professor and freelance journalist and proofreader. She earned an MFA, gave birth twice, killed a rattler with a shovel, and is learning how to tweet. Spencer is a member of The Christian PEN, The Christian Authors Network, and American Christian Fiction Writers. She and her Colorado cowboy live on the Front Range with their Queensland heeler, Blue. Be sure to leave a comment to win an autographed copy! Guess what?! I’ve been doing a give-away all week, too! Here’s your chance to win two books! HERE’S THE STORY: I get to go and visit my mom for a while (yea!!! ), and I won’t be on on line too often. HOWEVER! I’m doing a book-giveaway! SO! I’m giving away four books, a book away for every day I’m gone. ALL YOU HAVE TO DO is leave me a note, a comment on my Facebook author page. Tell me you like rodeos, and what event is your favorite. Or tell me you hate rodeos, but have a fondness for cowboys. WHEN I GET BACK, I’ll hold a random drawing and contact the four lucky winners! This entry was posted in Cooking and Recipes and tagged cheat cobbler, cooking, cooking calamities, cooking catastrophes, cowboy cobbler, Davalynn Spencer, fried chicken, Heartsong, home cooking, kitchen disasters, Recipes, vanilla cake. Bookmark the permalink. 6 Responses to High Altitude Giveaway! Thanks for having me, Linda. This was a fun look back! Love this, Davalynn. Thanks for participating in Cooking Calamity Friday! Good plan. That’s how I do it! What a coincidence. I was just reading today about how altitude affected cooking times. I was wondering if that applied to just baked goods – or to meat as well. Now I know! Yup – some of us learn the hard way! So glad you stopped by today, KM. Thanks for reading.